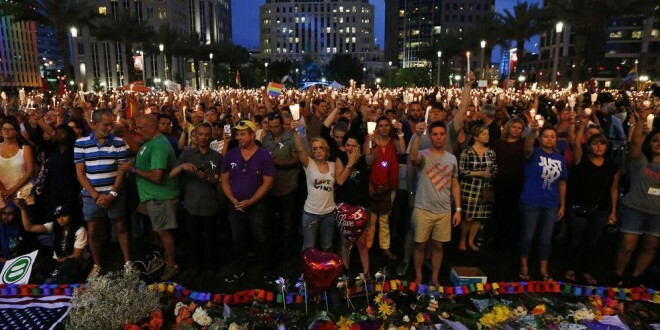 49 SOMBER BELLS: More Than 5000 Gather In Downtown Orlando To Mourn LGBT Victims [VIDEO] - Joe.My.God. 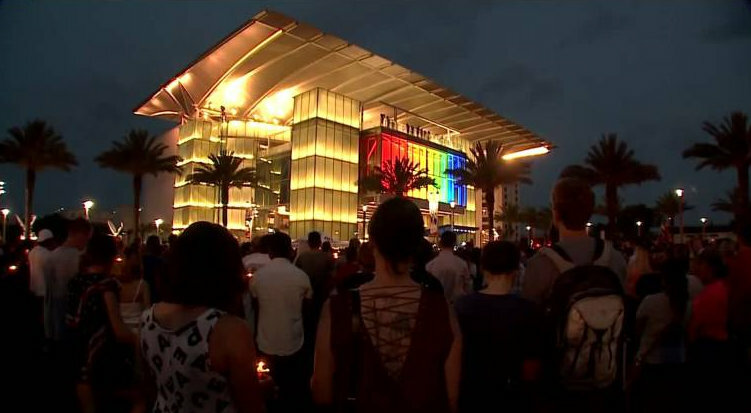 A massive two-hour vigil for the victims of the Pulse Orlando nightclub shootings Monday evening spilled over the lawn of the Plaza at the Dr. Phillips Performing Arts Center near City Hall, as thousands gathered to cry, embrace, remember and cheer. Others passed out water. Some brought flowers. A group of gay men in nun’s habits from the Sisters of Perpetual Indulgence – the charity that grew out of the AIDS epidemic – came to reunite and bring comfort. As the names of the victims were read, an otherwise noisy crowd fell quiet, with the muffled sobs of survivors. As a nearby church tolled its bell 49 somber times over the hushed crowd, many burst into tears.